Lately we hear more and more about Day of the Dead celebrations in the USA. Sugar skull makeup known in Mexico as “Catrina” has gained fame at costume parties. Mexico is known to laugh about and celebrate death, but do you actually know where this celebration comes from? In reality, its origin is pre-Hispanic. 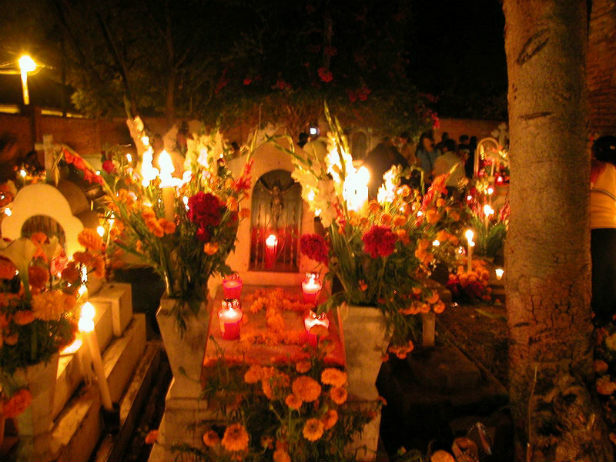 During these periods they celebrated a day dedicated to the dead, which coincided with the original Spanish day known as “All Saints Day.” This is how many of the elements of this Mexican tradition became a combination of pre-Hispanic and Spanish culture. The Mesoamerican cultures believe only that death is another form of life, another level. Here are four things you need to know about the Day of the Dead. 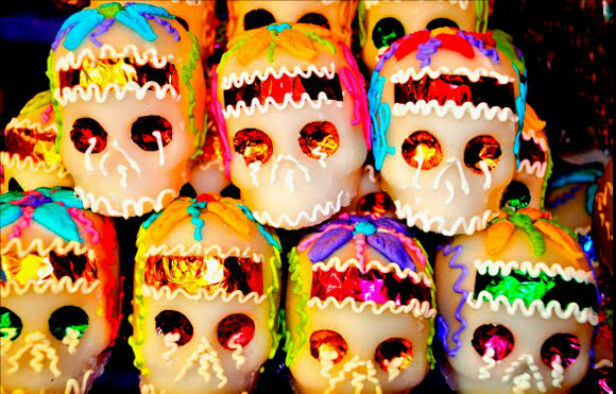 Candy Sugar Skulls: It was common for pre-Hispanics to keep skulls as trophies or as a symbol as the end of an era. Altars called tzompantli that had rows of skulls of sacrificed victims in honor of the gods and an image of the face of the lord of the underworld, Mictlantecuhtli, were common in the life of ancient Mexicans. When the Spanish arrived here in Mexico, these practices were against the Catholic religion, and so they were substituted with sugar skulls. 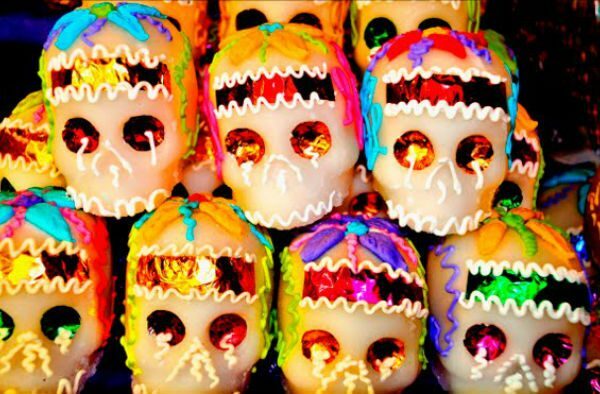 In the beginning sugar skulls were made with a sugar paste, a mix brought over by the Spanish. It was a caramel or sugar cane base that formed into a moldable paste. 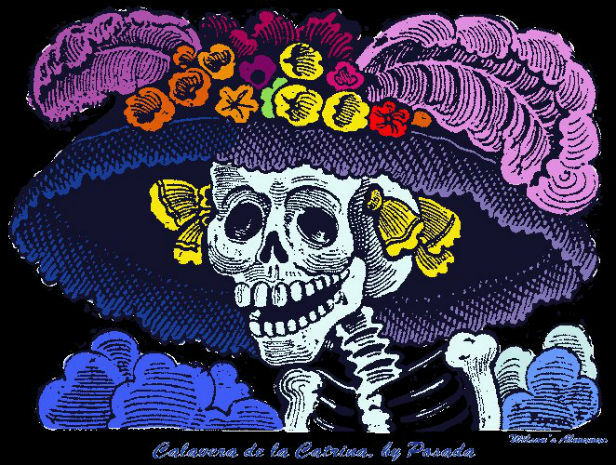 Catrina: It was believed that this originated from the Day of the Dead, but it was actually from the time of the early 20th century, a form of mockery of elegant and wealthy ladies from that era that would walk along the Alameda, now the historic area of Mexico City. Candied Pumpkin Dessert: In Mexico, pumpkin has been one of the most important foods since pre-Hispanic times. With the arrival of the Spanish also came the use of sugar cane. The Spanish used a special bowl called a “tacho” to mix the sugar cane, and this same bowl is used to make the candied pumpkin dessert. This is why in Spanish this special dish is known as “Calabaza en Tacha”. 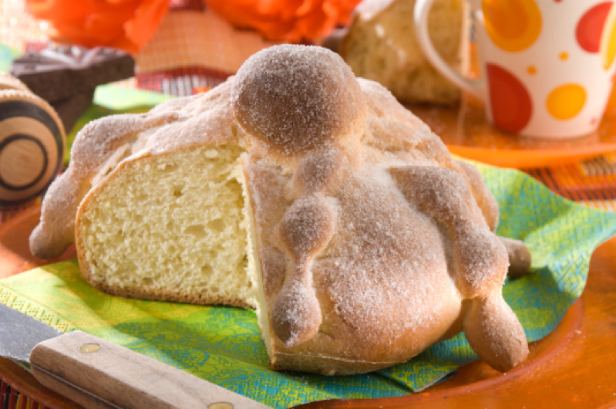 Later, this sweet dessert became a typical and emblematic symbol of the Day of the Dead. Dead Bread: This custom actually dates back to before pre-hispanic times and since that time Mexico has celebrated the day in which souls have come back to visit the living. The bread was made with ground and toasted amaranth and covered in blood, yes, blood was common at that time. The blood that was used was from the sacrificed victims. When the Spanish arrived, this type of bread changed and red wheat flour and sugar were introduced in place of the blood. The ball in the center of the bread represents a skull and the four strands on each side represent the four cardinal directions of the universe: north, south, east and west. Written by Lizzy Santoyo, translated by Kelly Fitzgerald.